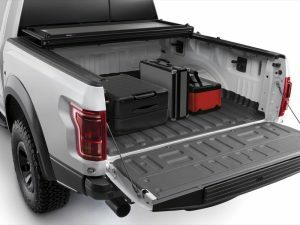 The new WeatherTech AlloyCover from WeatherTech has become a popular truck bed cover option here at Nu Image Audio in Salina. 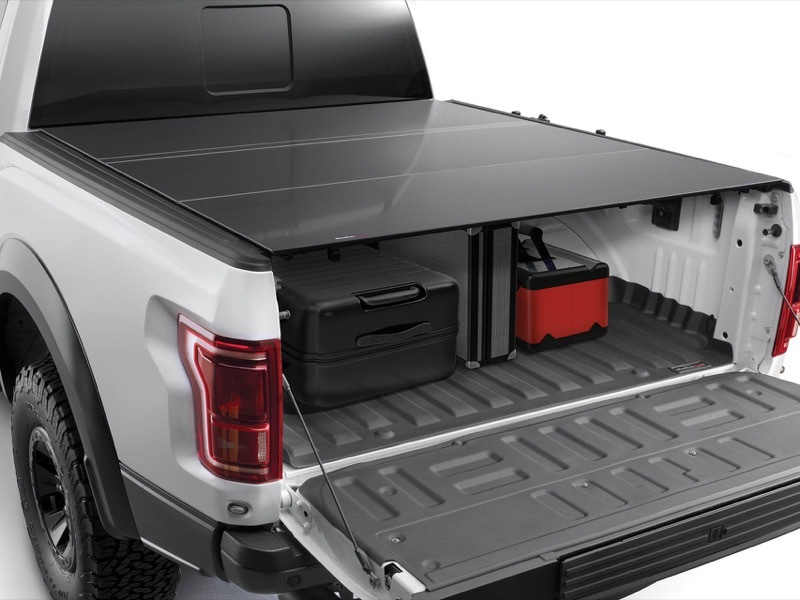 This lightweight cover not only protects against theft, but it also shields the contents of your truck bed from rain and snow. Let’s take a close look at the features of this impressive truck bed protection solution. 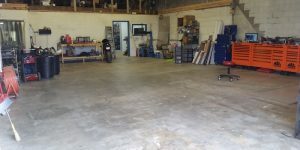 The AlloyCover weighs about 50 pounds, depending on the application. The three-piece folding design features extruded aluminum channels that can support up to 400 pounds of weight and keep the contents of the bed secure. A concealed release cable under the rearmost panel is accessible from either side of the vehicle to make it easy to open the cover to load large items. The cover features vinyl coated hinges to reduce metal-on-metal contact that can cause rattles and unwanted vibrations. Flexible rubber seals around the perimeter of each panel seal against the extruded aluminum rails to keep water out. The rails themselves feature an angled design to shed water and debris without the need for channels or drainage systems that can become clogged. 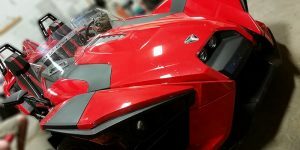 When closed, the AlloyCover sits only a half-inch above the bedrails to maintain the look and aerodynamic performance of your vehicle. The sleek matte black top panel bears no handles or fasteners that can cause air turbulence and noise. The result: a quiet ride, great looks and optimal protection. If you need access to the whole bed, the AlloyCover can be completely removed in just a minute without the need for any tools. The leading edge of the cover includes durable clips that attach to the rail system to keep the cover in place in when in use. To remove the cover, grab the secondary release latch on the last panel of the over and give it a pull. You and a friend can have it out of the way in no time. 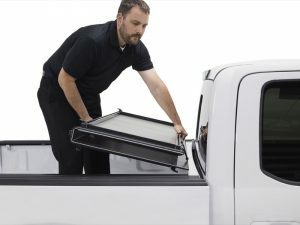 WeatherTech chose this quick-release design over a folding system that blocks visibility out the rear window. The result is improved cargo access and increased operator safety. The AlloyCover is a great addition to the already impressive line of vehicle accessories from WeatherTech. Backed by a three-year warranty, you can be assured that the WeatherTech AlloyCover is one of the best solutions on the market. 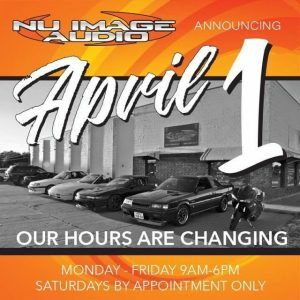 For more information on the complete line of WeatherTech products, drop by Nu Image Audio in Salina and speak to a member of our sales team. You can also reach us by phone or e-mail if you have questions about any of our products or services.